Most drivers, if not all, have broken the speed limits at one point or another in their lives. Whether it is distracted driving, accidental, or done in road rage, either way, we all are guilty of speeding here and then. So, is there anything we can do to stay more “road-focused”? 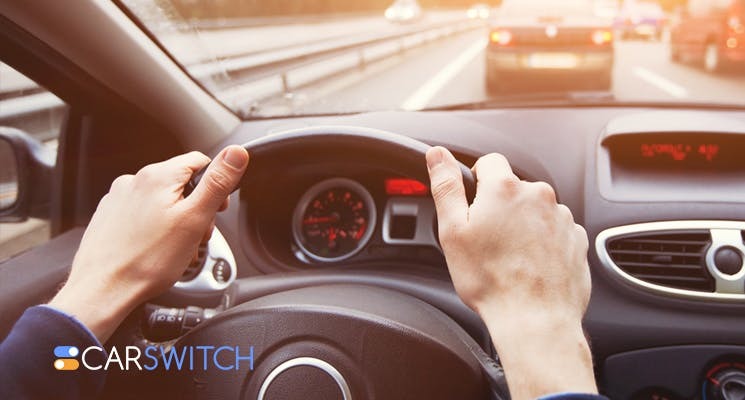 Read CarSwitch.com’s top tips on staying within the limits in your new and used car Dubai. It is the most obvious starting point and yet so many of us forget to check the speedometer for such a simple thing. For unintended speedsters, most offenses during overtaking. Your eyes are on the road and other drivers while you ascertain your move is completed safely. However, it is important to check your speed before you begin. It’s also important to stay within the speed limits while driving. In UAE, the speed limit for highways is 140 mph whereas for city roads it is 80 mph. In addition, if you are driving in a residential area, the limit maybe even shorter; so, the slower you drive, the better. In a residential area, going above 60 km/h is a dangerous idea. Fortunately, most cars have the option of driving in 3rd gear at 60 km/h without overworking the engine. So, if you find the speed going higher up when you are driving in the 60 km/h speed limit, try driving in the low gear. That will prevent you from breaking the speed limit. Even though we don’t really want to be in a situation where we could be breaking the law, there are circumstances in which you are more likely to speed up. In such cases, identify these scenarios so that you can deal with them later on. Are you in a rush? Do you listen to loud music while driving in your used car Dubai? Are you prone to road raging? Or maybe someone tailgating you is making you want to speed up? Understanding why you break the speed limits can help you address those concerns so that you can take steps to prevent it from happening. If you are thinking that you have tried out all of this and somehow you just can’t get the mph within your reach, it may be time to bring in some help. There are satnav systems that track your speed and evoke some well-meant noises if you go over the speed limit. But if you are truly a reckless driver, then a limiter can be your best bet. Many of them are fitted as standard to trucks and vans are designed to keep you from exceeding the speed limit in your used car Dubai. With speeding fines going up in the UAE, it is now absolutely crucial for a Dubai used car owner to abide by speeding limits in the UAE. And speaking of safety, a well-maintained car is also a road-safe car. So, if you are looking for well-preserved used cars Dubai, hop onto CarSwitch.com. You won’t be disappointed! 5 Clever Salesman Tricks to Watch out For! When you are buying a used car Dubai, the process of buying involves a lot of. 8 of the Best Cars on a Budget! Looking to drive in comfort, some class, a bit of a thrill but within your limited.